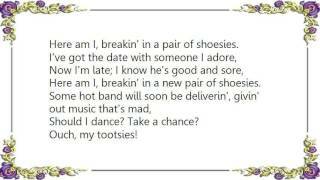 Here am I, breakin' in a pair of shoesies. Here am I, breakin' in a new pair of shoesies. Should I dance? Take a chance? Here goes breakin' in a pair of shoes! Publisher(s): Bantam Music Publishing Co. The, Emi Feist Catalog Inc.